Ahead of the launch of the new Halo 5 Guardians game that is now available to pre-order and will be available exclusively on Xbox One from October 27th 2015. 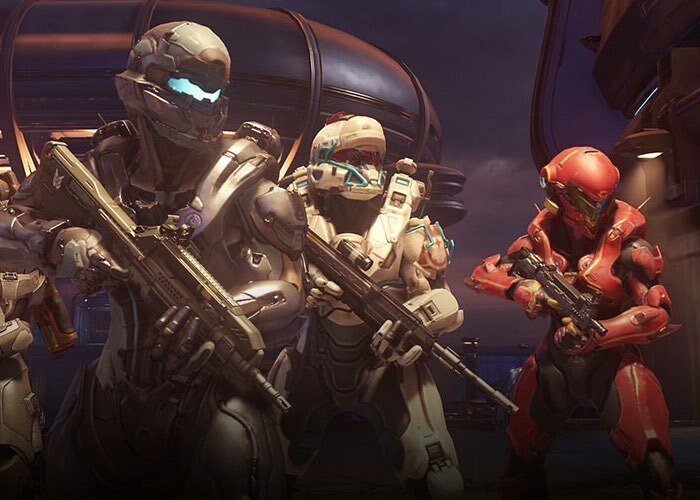 A new Halo 5 Guardians opening cinematic trailer has been released providing you with a three and a half minute glimpse at what you can expect from the storyline and gameplay. Halo 5: Guardians is now available to pre-order, for more information jump over to the Xbox Wire website via the link below. Watch Spartan Locke and the rest of Fireteam Osiris in the worldwide unveiling of the opening cinematic to Halo 5: Guardians. In the cinematic, the group receives UNSC orders to recover a high value target and deploy to take on Covenant and Promethean forces in a fierce action sequence – the start to the most ambitious, robust and epic Halo campaign experience yet.